Sagittarius, Other guitar saturation effect from Celestial Effects. 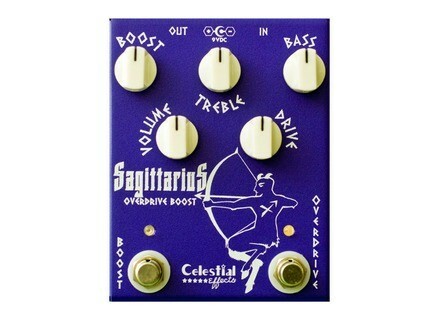 Celestial Effects completes its effect zodiac with the Sagittarius discrete overdrive and boost pedal for guitar. 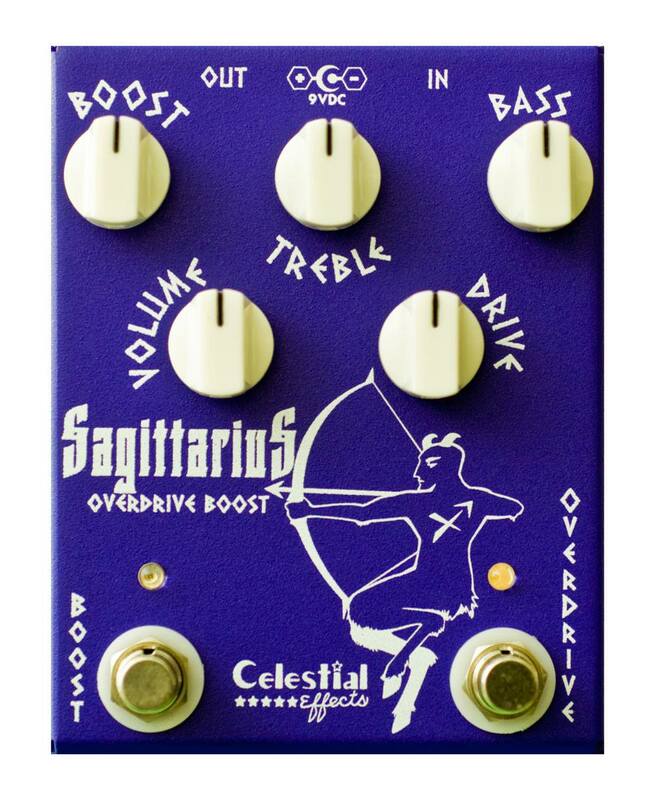 The new Sagittarius is an overdrive pedal to which Celestial Effects added its Scorpio boost. Both effects are wired in series and you can choose their order (overdrive to boost or boost to overdrive). The pedal features 5 knobs to adjust the boost, drive, volume and the 2-band EQ, as well as two footswitches to enable the true bypass and change the effect order. The Celestial Effects Sagittarius is powered by a 9V battery or adapter (Boss-type). It is available for $189. More info at www.celestialeffects.com. Seymour Duncan reissues the ShapeShifter Seymour Duncan has revamped its ShapeShifter tremolo pedal in a new version that was introduced this week. Mod Kits DIY MOD102+ tube amp Mod Kits DIY adds some “+” to its MOD102 guitar tube amplifier kit. [Musikmesse] Radial Headload Prodigy Radial has just launched its HeadLoad and they are now introducing the Prodigy version that combines load box and DI.